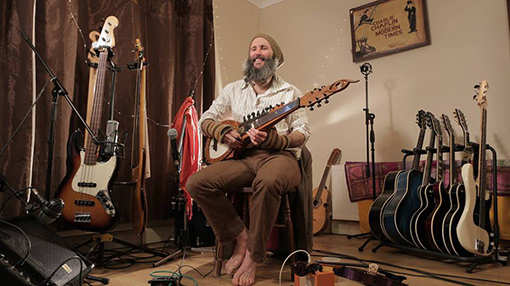 Matthew Noone (who started his musical career playing guitar and drums in indie rock bands in Brisbane in the mid 90’s) is now recognised as Ireland’s foremost exponent of the North Indian lute called sarode. He has studied Indian classical music with maestros Sougata Roy Chowdhury and K. Sridhar for over 15 years. He is renowned for his interpretations of Irish music on the instrument, and has toured India with Martin Hayes.